So much has happened since my last post, I figured I should give everyone an update. I am in the process of getting everything ready for my move to New Orleans. I will be leaving the morning of August 16th bright and early with my car packed. I will be arriving in New Orleans sometime late in the day on the 16th after driving for 8 hours. I will then be leaving for orientation at Stony Point, New York on August 18th. We will be back from orientation on August 25th. Then, we will be starting on the ministries in New Orleans. I hope to be working with Global Maritime Ministries. They have a website at http://www.portministry.com/ if you would like to visit it and find out more. I am very excited about the possibilities God has before me. I am also continuing to raise money for my year with Young Adult Volunteers. For this program, I need to raise a minimum of $3,000 to help cover costs of living and other expenses. I have been blessed by my presbytery towards this goal. 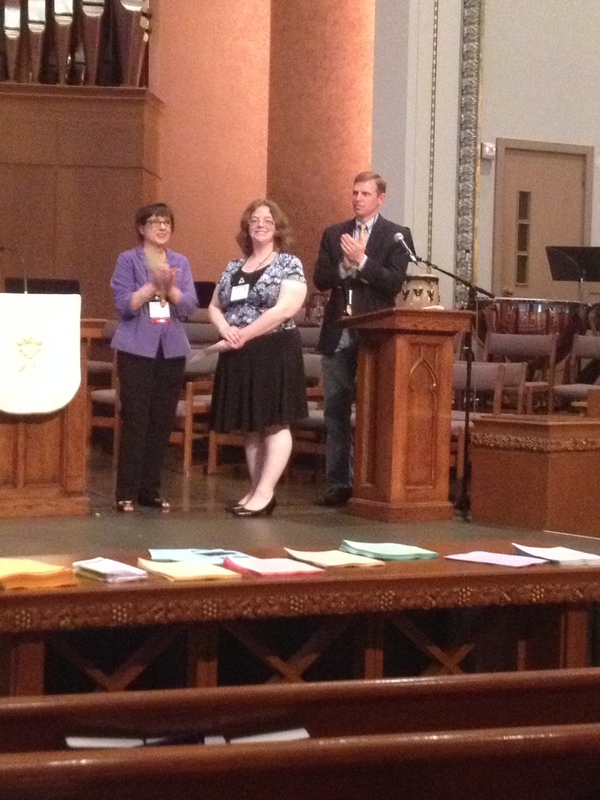 On May 31st, Grace Presbytery presented me with a check for $1,500. I am very grateful for this blessing!! Thank you Grace Presbytery. If you would like to help me raise money towards my goal, you can find out how the tab label Support my YAV year. ← Why? What? How? About.